HomeBehavior & TrainingMy Older Dog Is Peeing In The House! When a previously house-trained older dog is peeing in the house, and it’s not just a one-off ‘accident’, it’s easy to get frustrated…. and normal to worry. You’re definitely not the first owner to wonder what the heck is going on, and what you can do to stop it.. There are several reasons why an adult dog might begin to pee indoors, most of them are physical, but some can be due to emotions or stress. In order to figure out why your older dog is suddenly urinating in the house, you’ll need to look for other symptoms or ‘triggers’. This is because his inappropriate behavior isn’t the cause of the problem, it’s a symptom of one. Incontinence products that can help…. To Wrap It All Up……. The medical causes of this behavior issue can be something simple, or a more serious condition. If you have an adult dog who’s been potty trained for years but suddenly starts to urinate indoors, then it’s a good idea to get him check-up with your veterinarian. Sometimes this is simply age-related because as your dog gets older, he loses muscle tone and his body systems aren’t as efficient as they once were. Muscles around he bladder/sphincter lose elasticity with age and that means Fido isn’t able to control the flow of urine properly. Dropping hormone levels are most often seen in senior, spayed females, but it can happen to male too. There are several different treatment options for this problem, and your veterinarian can diagnose and treat it. Any dog, of any age, can get a urinary tract infection – although it’s most often seen in female puppies. If your dog has a UTI you’ll most likely notice that he/she needs to ‘go’ a lot more often than normal… and that the urge to pee seems to be…. well…. urgent! Plus Fifi may only pass a few drops of urine even though she’s been dancing around in circles as if her bladder was bursting. Urinary tract infections are usually cured pretty easily, but you NEED to get the right antibiotic prescription from your vet. Although they’re obviously uncomfortable (even painful) for your dog, and inconvenient for everyone, UTI’s are generally not serious to begin with. BUT if you leave the problem untreated it can become serious and affect other organs such as the kidneys. Kidney infections can occasionally show only these symptoms, but more often there are others (see below). Repeated UTI’s can also be caused by diabetes, kidney problems and bladder/kidney stones. If you think that your dog (or pup) may have a bladder infection like this, get her examined by your vet right away. Two very common symptoms of diabetes in dogs are increased thirst, and increased urination. So, if your older dog is peeing in the house and also seems to be extra-thirsty, this is something you need to rule out. This is a condition that you need to get under control otherwise it can cause serious health problems for your dog, so if you notice these symptoms get Fido to your vet asap. Many senior dogs have ‘kidney insufficiency’ (this means that their kidneys aren’t filtering out toxins efficiently). Two of the most common symptoms of failing kidneys is excessive thirst and increased urination. But you’re likely to see both of these as symptoms of severak other conditions, so don’t jump to the conclusion of kidney disease just based on this. It is MORE common to see additional symptoms when the kidney’s are involved, but this doesn’t ALWAYS happen. Only your veterinarian can make an accurate diagnosis. Cushing’s disease happens when your dog’s adrenal glands aren’t functioning, and his body if flooded with the natural steroid cortisol. This can produce all kinds of different symptoms, including increased urination. Again, these signs could point to several different problems, so you need to get Fido a check up so that your vet knows what to treat. An older dog peeing in the house frequently, especially a ‘senior’ dog (and large or extra-large breeds can be considered seniors as early as seven years old), might be suffering from this condition. It’s also known as ‘Old Dog Syndrome’ and is very similar to human Alzheimers Disease or dementia. In this case, the physical cause for the unusual peeing isn’t located in the bladder/kidneys, but Fido’s brain. The changes that are going on there make him confused, and he might be urinating indoors because he’s ‘forgotten’ that he’s supposed to do his business in the yard. Sometimes old dogs with this condition seem to be unaware of their surroundings, or actions, and he might not even realize he’s peeing (or pooping) at the time, or afterwards. There are lots of different symptoms of Canine Dysfunction, and urinary incontinence is just one of them. Although this all sounds worrying, there are things you and your veterinarian can do to help your senior dog if he does turn out to be experiencing old dog syndrome. Sometimes these symptoms can come on very slowly and owners think it’s just that their pooch is getting old. But normal aging doesn’t make a dog upset, anxious, miserable or confused! Your vet can make a diagnosis and make sure Fido gets the right treatment. There can be emotional triggers for your older dog’s sudden incontinence. If your dog is male, and he hasn’t been neutered, then when he reaches sexual maturity or adulthood he might begin scent-marking. This is a normal territorial behavior and has nothing to do with house-training! A dog who is lifting his leg to urinate on door-frames, furniture legs, wall corners and so on could simply be staking his claim. He’s basically saying ‘this is mine!’. Older adult dogs who have never shown this behavior before can suddenly start to if a new dog joins the family, or a new person moves into the home. Once a dog is fully mature and has started to scent-mark or spray, neutering is very unlikely to change that behavior. Consistent correction (a firm ‘No’ and redirecting Fido’s attention), often reduces the problem over time, it might even eliminate it. Failing that, belly-bands can be used to ‘catch’ the urine so that your furniture, carpets and home aren’t constantly being sprayed. When you combine these two methods, that’s when you most often get the best results, because the belly-bands protect your home while your dog is learning that this behavior is a no-no in the human world. Dogs of all ages can get nervous or stressed when there are big changes in their lives (or sometimes even small ones). Plus some dogs are naturally just more anxious than others. 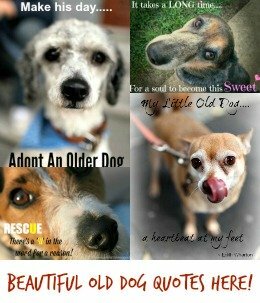 But some older dogs become especially fragile emotionally as they age, and loud noises, strange people, car rides, storms…. even things they were previously absolutely fine with are suddenly scary for them. This kind of anxiety can lead to all sorts of nervous behaviors, including urinating indoors at odd times. Submissive urination happens when your dog is scared of the person/dog/object he’s being confronted by, or if that person/dog is seen as the ‘alpha’ or superior. Separation anxiety happens if he suddenly becomes terrified when you’re not within sight, or when you leave the house. If he gets hysterical he could quite easily lose control of his bladder and bowels, no matter where he is. ANY significant change, especially big ones like a new dog/pet in the family, a new baby, a house move, someone moving in, or moving out…. can destabilize your older dog’s emotional balance. This can cause physical symptoms such as urinating indoors, acting ‘clingy’, refusing to eat, depression and so on. 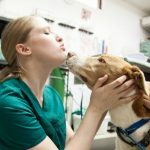 And physical changes such as hearing or vision loss, canine dysfunction syndrome, or chronic pain can all make Fido ‘jittery’ or worried, which makes everything more difficult for him to handle. 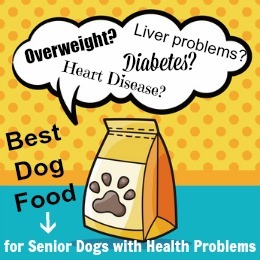 There are doggie diapers, waterproof dog beds and urine clean up products which can help make your golden oldies’ weak bladder less uncomfortable for him/her – and less stressful for you! Click on the image below to find the best dog incontinence products…. In most cases, your veterinarian will need to test a sample of your dog’s urine in order to find out what’s causing the ‘peeing’ problems. Sometimes he/she will ask you to collect a sample and bring it in. This means you need to ‘catch’ the urine while Fido or Fifi is urinating – easier said than done! I recommend that your helper be the ‘catcher’ because if you do it, your dog is more likely to turn around and try to figure out what’s going on. That can make the whole procedure messy. If you’re keeping his attention at the ‘head’ end, the ‘business’ end will be less likely to move! The best way to do this is to ask someone else to help you, because it’s very tricky to do all by yourself. With your dog on a leash, take him to his potty spot and while you keep his attention, your ‘assistant’ needs to use a very CLEAN container to catch the urine, mid-stream if possible. You don’t need a whole jar of urine, most tests only need two or three mls. Once you do have your sample, make sure to refrigerate it until it’s time to get it to the vet’s office. When an infection is suspected, your veterinarian will often want to take a sample of urine directly from your dog’s bladder (this is called a ‘cystocentesis’ sample). This isn’t nearly as difficult as it sounds, and is the most accurate way to find out exactly what type of bacteria or infection is causing the problems! Having your old dog peeing in the house is messy, disruptive, frustrating and sad… for everyone. But, you don’t have to just put up with the puddles and pee spots, there are ways to keep your golden oldie dryer and more comfortable… and protect your carpets and furniture too. Okay, so we’ve covered all the most common reasons for an older dog peeing in the house and now you know what each group of symptoms could mean. If there are signs of a physical problem, please do get Fido examined by your veterinarian just as soon as you can. The quicker you get a diagnosis the easier it will be to treat the problem! My 7.5 female cairn terrier has been peeing in the bedroom every night lately. We take her out every 3-4 hours and that’s never changed. She’s afraid of storms so I’m not surprised when she does pee inside due to that, but this new, nightly peeing is a conundrum. It’s usually the same spot, in the middle of the night. I don’t know what has changed to cause a behavioral change in her. For the past few year she’s been waking up in the middle of the night and will start barking very loudly and shrilly and will not stop most of the time until she goes out. I don’t know what to do with her. My husband doesn’t think it’s a physical cause, she’s just behaving like this on purpose. My 5 year old Lhasa Apso is peeing/marking my beds and continually peeing in the kitchen (even though I put pee mats in the kitchen) He is sometimes left alone from 9am-6pm due to work commitments but never pees during this time. He is let out often but is still doing it. Help !! My 13 year old daschund is doing the same thing. Has anyone responded with an answer yet? Really, are you kidding me? The article has your answers. I can understand sharing experiences but there is no way the person who wrote the article can know YOUR DOG. Take your dogs to the vet, they are the only ones that can run necessary tests and diagnose. Wow. Thank you, Anonymous. That was soooo helpful. I believe the purpose of this community is to support each other as we worry about our dogs. Of course they will be seen by a vet. Of course we’ll eventuslly figure it out, but we look to each other to share experiences, not to be berated by you. Please don’t bother coming here if it irks you so much to be part of a community. What’s a POTUS?? Is that a type of Vetrinarian or Doggy Specialist?? I agree w\ “Wow”. You can’t have a random person tell you what’s wrong w/ your dog based off a low description comment of your dogs peeing habits off of a website. The site says it all, look at your damn situation and go to your vet. Its not rocket science. My 12 yr old Boxer Rot mix has peed 2 times this week, in the living room in the exact same spot. Being trained since birth and only having accidents on vacations, random long events, etc.